For us end users, this unified multi-window system means that app developers can now create split-screen mods that works on all phones and tablets running Android 7.0 or higher. 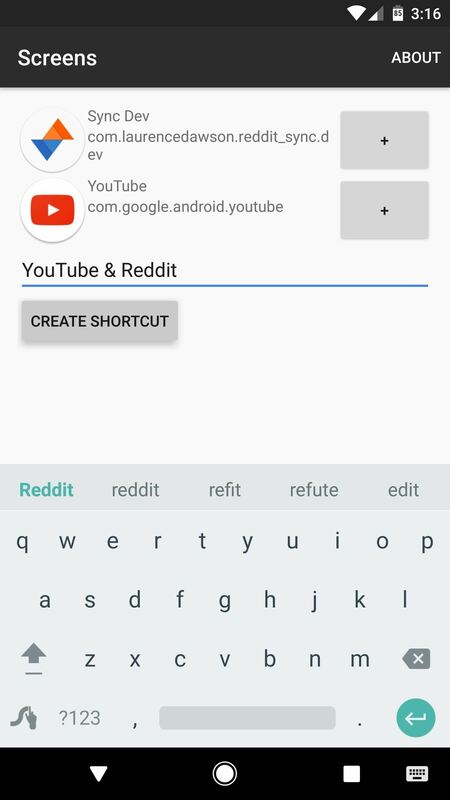 One of the first such apps is a tool that allows you to create home screen shortcuts that automatically open a pair of apps side by side, and I'll show you how it works below. 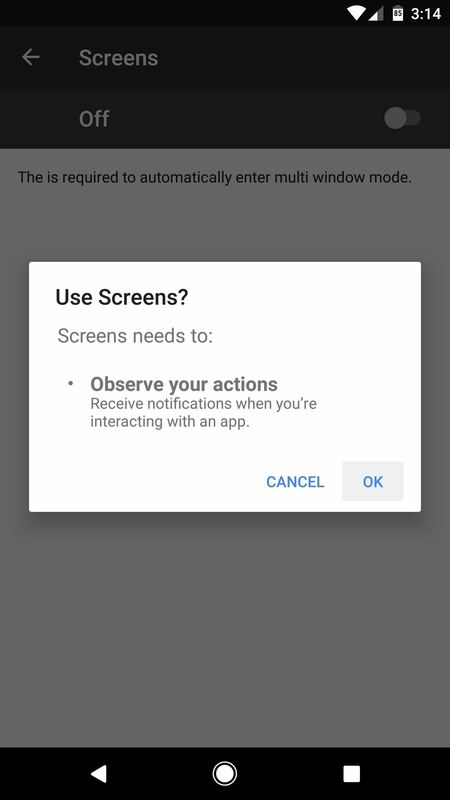 The app that lets you launch two apps side by side in Android Nougat's split-screen mode is called Screens - Multi Window Manager from developer Keep Away From Fire, so start by getting it installed on your device. 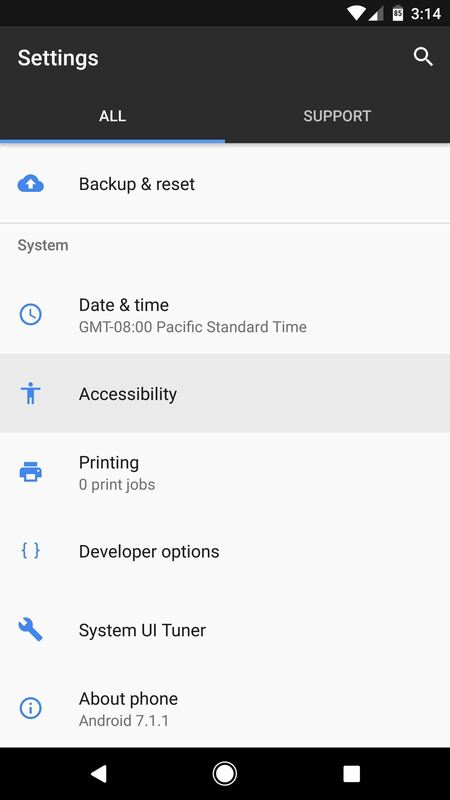 Once you've got the app installed, head to Android's main Settings menu, then open the Accessibility sub-menu. 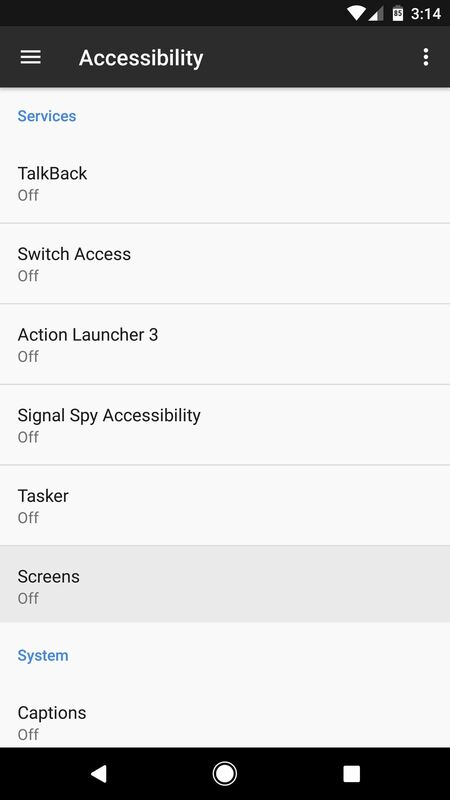 From here, select "Screens" from the list of services, then enable the switch at the top of the screen and press "OK" on the pop-p.
Open the Screens app from your app drawer, and you'll see two + buttons near the top of the screen—the upper + button is for choosing the app that will open on the top or left in multi-window mode, and the lower + button is for picking an app to open on the bottom or right in multi-window mode. So tap each + button, then choose an app for each slot. 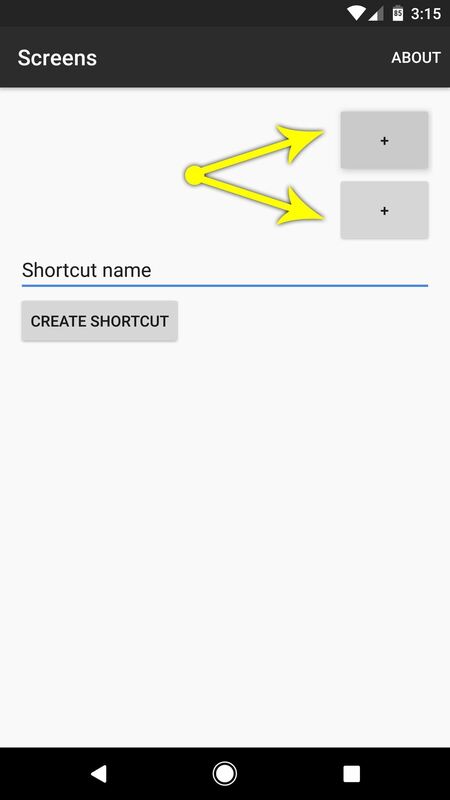 Once you're done there, enter a name for your multi-window shortcut, then press the "Create Shortcut" button. Immediately after you do this, a shortcut will be created on your home screen. From now on, whenever you want to open both of these apps in split-screen mode directly, just tap the icon on your home screen. If your device is in portrait mode, the apps will open with one on the top and one on the bottom. 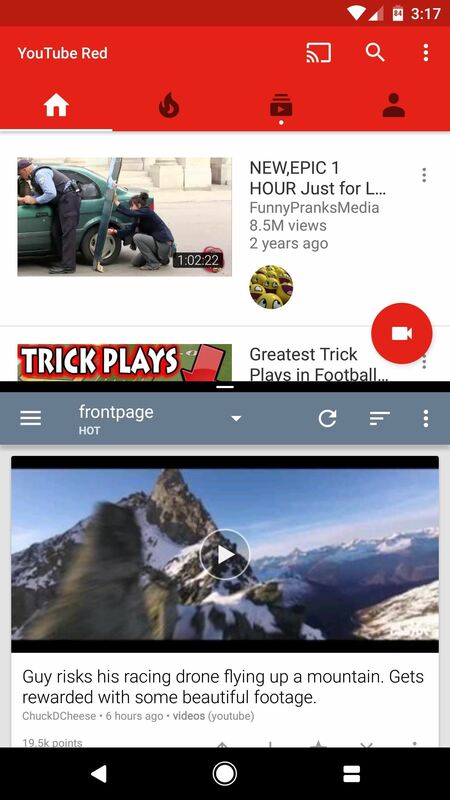 Otherwise, if you're in landscape mode, the apps will open side by side. Some great uses for this functionality would be to have your favorite texting app and web browser open simultaneously, that way you could copy and paste links when you find something your friends might enjoy. You could also open a Reddit app along with YouTube for maximum memes, or split the screen between your banking app and Google Sheets to balance your budget. What split-screen app combos have you created? Let us know in the comment section below. 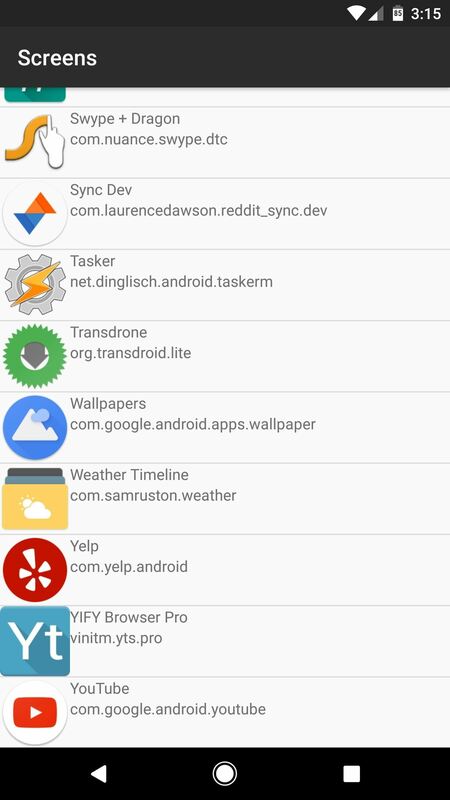 I agree about the icon, but you might want to try a custom launcher that lets you use icon packs for individual apps. 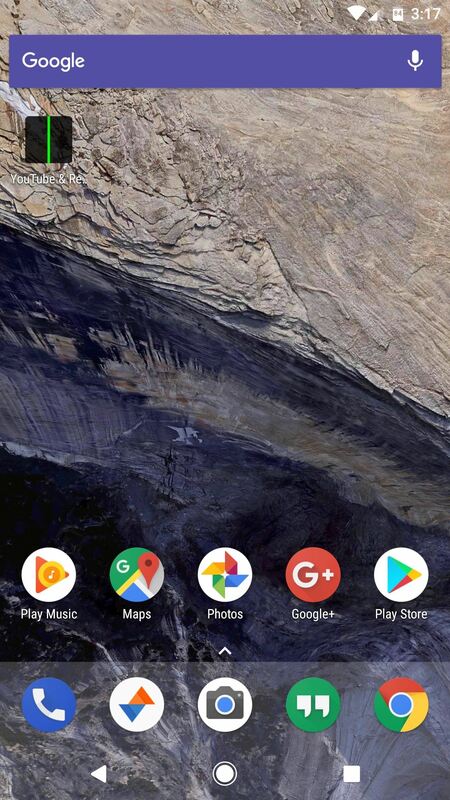 Nova and Action Launcher would work. Then, you could change the icon for your hybrid app shortcut, so it wouldn't be so bad at least.